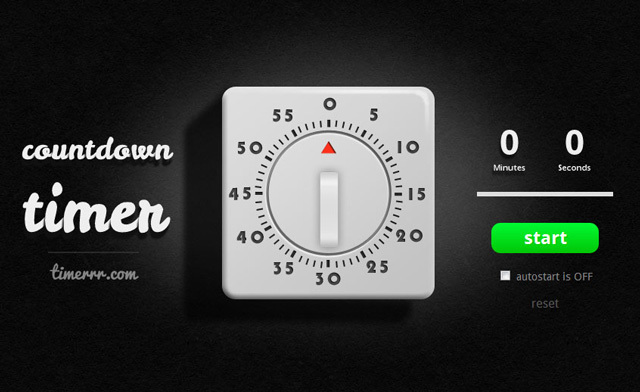 Timerrr is an intuitive online countdown timer based on traditional physical kitchen timers. 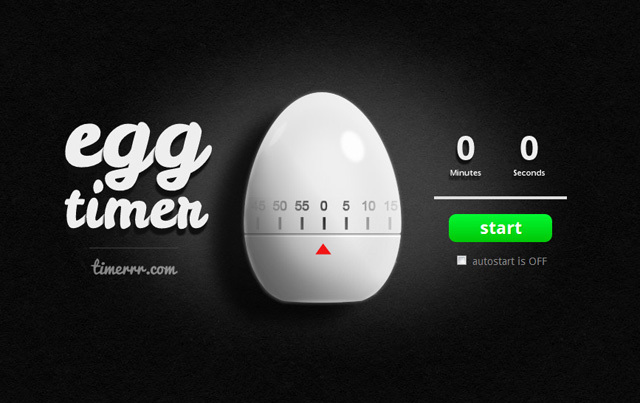 It comes in two versions, a retro rotary-style timer and an egg-shaped one, and both are available to download as a Google Chrome app. A physical kitchen timer is a device that we all know well. Everyone knows how to operate it because it is very intuitive and really clever. In fact it would be hard to come up with a better and more user friendly mechanism and interface. Unlike most digital timers the classic kitchen timers have no buttons to push, no switches and no displays. Setting it up is as simple as rotating the handle and in case of the web version it is just a matter of dragging the handle around the screen. It cannot got any simpler.